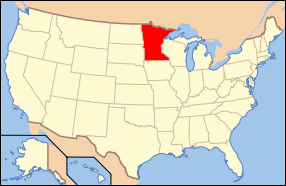 Minnesota is one of a number of states that prohibit an employer from binding an employee to an afterthought non-compete agreement - one signed after the beginning of employment - absent independent consideration. The most common types of consideration are special training, the opportunity to participate in incentive programs, payment of one-time bonuses, or a promotion. But another, frequently overlooked type of consideration that is not as immediately recognizable is "post-employment compensation." How does this work, and how can it provide the requisite consideration to support a covenant? The employee's agreement specifically provides that if an employee is unable to obtain work reasonably commensurate with his or her education and experience as a result of a covenant, then the employer must make the employee whole in terms of compensation for a the shorter of the period of unemployment or the expiration date of the covenant. The agreement also should contain a make-whole provision so that if an employee finds a lower-paying job, the employer must pay the difference between the new wage and that the employee earned at the time of termination. Not every post-employment compensation provision will satisfy contract formation requirements. For instance, some provisions place a subjective standard on the employee to diligently or conscientiously look for work and document efforts to the ex-employer. As should be apparent, there is wide latitude for the employer to deny compensation under such clauses. Courts in Minnesota have held that when an employer chooses to enforce a non-compete, a conditional promise to pay - that is, upon the employer's finding that the employee diligently searched for work - is illusory. An unconditional promise, however, will provide consideration. In contract provisions calling for post-employment compensation, an employee must examine whether the employer retains discretion to pay or to impose conditions on pay. This ordinarily will determine whether the consideration element can be met.